Attorney Alexander Angelov is the ultimate beneficial owner of the offshore “Viafot” Ltd., registered in the British Virgin Islands. This offshore staged an attack on the business of the allegedly poisoned with a substance similar to #Novichok entrepreneur and arms dealer Emiliyan Gebrev. Nevertheless, Angelov, who is the son of a powerful officer from the sinister “Bulgarian KGB” – the Communist regime’s secret services – the State Security (“Darzhavna Sigurnost” or DS), turns out to be a much more important factor in the business empire of media mogul, controversial lawmaker from the party Movement for Rights and Freedoms (DPS) and short-lived Head of the National Security Agency (DANS), Delyan Peevski. Bivol was the first media to investigate and reveal that Angelov is the ultimate owner of “Viafot” (here). According to the “Panama Papers”, to which journalists of Bivol received access under an agreement with the International Consortium of Investigative Journalists (ICIJ), attorney Angelov has also been the ultimate owner of Doreco Limited, registered in the British Virgin Islands. Its Bulgarian subsidiary, Doreco Commerce, was one of the key mechanisms for lending and transferring assets to strawmen in the business empire around Delyan Peevski. Thus, Angelov has controlled for many years assets for hundreds of millions of dubious origin. 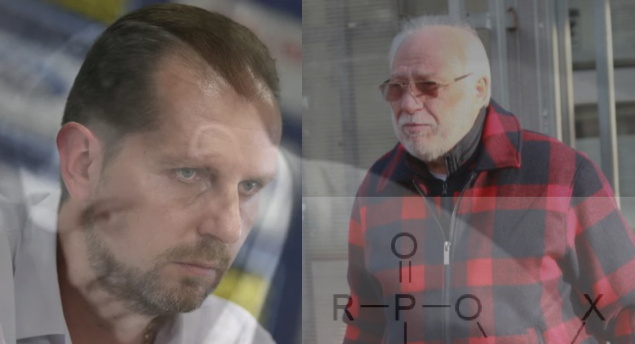 It also emerges now that he is the person behind the legal and corporate attack on Gebrev, following the attempt to physically eliminate him by poisoning him with a banned substance. After the collapse of the Bulgarian private lender Corporate Commercial Bank (CCB), the arms factory “Dunarit” remained part of the assets of CCB’s majority shareholder – banker Tsvetan Vassilev – and became part of the package of strategic Bulgarian enterprises sold to the Belgian citizen with Russian passport Pierre Louvrier for the symbolic amount of BGN 1. Because of media and institutional pressure, Louvrier later dropped the deal. Then, the owner of EMCO Emiliyan Gebrev showed interest in becoming a shareholder in “Dunarit“. According to the Bulgarian Capital weekly, he started working on the deal about a month before he was poisoned, which means late March or early April 2015. An investigation by the site Bellingcat, together with the Russian site The Insider,has “determined that a third Russian GRU officer, who was in the United Kingdom at the time of notorious Novichok poisoning attack in March 2018, arrived in Bulgaria just days before Gebrev and his son became seriously ill after being poisoned with an unidentified substance”. Bellingcat has identified the third man – a 45-year-old Russian travelling under the alias Sergey Vyacheslavovich Fedotov – as a senior GRU officer. “On April 24, 2015, “Sergey Fedotov” arrived on a flight from Moscow to the Bulgarian seaside resort of Burgas. He had a return flight for a week later, on April 30, from the capital city of Sofia back to Moscow. However, he did not show up for the return flight. Instead, late on the evening of April 28th, he showed up at Istanbul’s Ataturk airport and bought a last-minute ticket to a flight to Moscow. Earlier that day, a Bulgarian entrepreneur, Emilian Gebrev, was hospitalized after collapsing at a reception he was hosting in Sofia. At around the same time, his adult son and one of the executives at his company fell suddenly ill. All three were hospitalized with symptoms of severe poisoning. Emilian Gebrev’s condition quickly deteriorated and he fell into a coma. Doctors surmised that the poison had been applied or consumed in the day or days preceding April 28. However, as they could not identify the poison, they could not be sure of its effects or mode of progression,” writes Bellingcat. Former Russian military intelligence officer, who acted as a double agent for the UK’s intelligence services, Segrei Scripal, and his adult daughter Yuliya were poisoned with Novichok in Salisbury, England, in March 2018. In September 2018, British authorities charged two Russian men with the aliases of Aleksandr Petrov and Ruslan Boshirov with carrying out the poisoning. Bellingcat later identified the two as Aleksandr Mishkin and Anatoly Chepiga, both of whom work for Russia’s GRU intelligence services. “Sergey Fedotov” is also suspected of being involved in the British attack, having arrived in Britain two days before the Skripals were poisoned. The entire Bellingcat investigation into the Bulgarian connection can be found HERE. According to Capital, on the advice of the doctors, “Gebrev approached the two laboratories in Europe that could conduct more research and determine the exact type of poison. One – the Swiss “Spiez Laboratory” (which conducted independent tests on Sergei Scripal’s poisoning with Novichok), refused. The other – at the Finnish Institute for Verification of the Chemical Weapons Convention (VERIFIN), agreed. Bulgarian doctors sent samples to Helsinki and the lab sent its report in the second half of June 2015”. According to Capital’ssources, the report says that the poisoning may be due to a neuropathic agent or pesticides, but “no chemicals prohibited by the Chemical Weapons Convention” had been found in the samples. Gebrev, himself, is certain that the attempt to physically eliminate him is related to his intentions to acquire “Dunarit” and is part of a scenario that involves taking hold of the key weapons facility at all and any cost. Indeed, several months after the unsuccessful murder attempt, the offshore “Viafot” launched a legal attack on Gebrev. At the end of 2015, “Viafot Investment Bulgaria” bought from Italian businessman Edoardo Miroglio through a transfer (cession) the receivables (EUR 19 million) of his company “E. Miroglio” from “Dunarit”. This happened after Miroglio “miraculously” survived a deadly car crash that occurred under suspicious circumstances. Thus, “Viafot” became a top contender to acquire “Dunarit”. In addition to “Viafot’s” attempts to seize “Dunarit” through court actions, State institutions attacked Gebrev’s business by withdrawing his license. The Prosecutor’s Office recently joined the operation and accused Gebrev of money laundering. For this reason, the answer to the question #WHO is behind the offshore “Viafot” is key to the lifting of the curtain – both for revealing who wants a hold of “Dunarit” and for the methods that include the first known attack with a poisonous substance in NATO and the European Union (EU). Bivol revealed a month ago through the “Panama Papers” that lawyer. Alexander Angelov is the ultimate owner of “Viafot”. This extremely important fact was fully ignored by Bulgarian “media”, but not by renowned international publications such as Newsweek. Angelov is known as a very trusted person of MP Delyan Peevski, while the latter is considered to be the visible symbol and emanation of the “Deep State” in Bulgaria. In addition to dealing with much of Peevski’s business affairs, Angelov has appeared in person on behalf of the MP in transactions directly related to him or to his cohorts. Businessmen have testified before Bivol about the direct and indirect links between Peevski and Angelov in purchases and acquisitions of firms that had been incorporated by strawmen. Bivol further found that attorney Angelov is the son of an ex high-ranking State Security officer, Paraskev Paraskevov, who is representing Delyan Peevski in the United States after the former CCB majority shareholder Tsvetan Vassilev filed a complaint with the US Department of Justice, seeking protection under the “Global Magnitsky Act “. Another attorney close to Peevski and a partner of Angelov is Geno Andreev, who is also a son of a senior State Security officer – the late Rumen Andreev. All known facts and circumstances indicate that Peevski is a front of former State Security officers and agents, close to the DPS party and to the Bulgarian Socialist Party (BSP), who are the backstage masterminds of the political processes and who dominate huge businesses. It is this backstage rule that prompted the Spiegel magazine’s analytical article “Bulgarian Politician Peevski – the Iceberg of Corruption”. The most recent and yet another proof of the above is the complaint filed in the United States by victims of a theft of USD 65 million from bank accounts in the collapsed CCB. The defendants include, among others, Bulgarian bankers and majority shareholders in First Investment Bank (FIB or Fibank), Tseko Minev and Ivailo Mutafchiev (former State Security agent with the codename “Kamen” and nephew of communist dictator Todor Zhivkov), Delyan Peevski, the conservator of CCB Stanislav Lyutov, the Bulgarian central bank – Bulgarian National Bank (BNB), the Russian VTB, listed as the Bank for Foreign Trade of the Russian Federation, which has financed the privatization by Peevski’s group of some of the most lucrative Bulgarian State assets – “Vivacom” and “Bulgatabac”. The role of VTB, also called the Bank of the Kremlin, is key in these processes and proof of the warm connection between the Bulgarian oligarchic group controlled by former Communist secret services officers and their “Big Brother” in the Kremlin. Yet, “Viafot” is just one of the mechanisms that had been used to seize the key arms business. This offshore had not been that significant for Peevski’s already established corporate network, which had been funded with capital of dubious origin, associated with massive smuggling of cigarettes in the Middle East. Another offshore, however, which, according to the “Panama Papers”, also belongs to Alexander Angelov, lifts the curtain on a business for hundreds of millions. Until now it was known that “Doreco Limited” is owned by a Bahamian and Seychelles company, which in turn is owned by offshore registration companies in Cyprus. On their part, the Cypriot owners of the registration companies are professional strawmen. Alexander Paraskevov Angelov, uniquely identified with a certified copy of his Bulgarian passport in a correspondence of the Mossack Fonseca law firm, is the real owner behind this complex scheme stands, according to the “Panama Papers” published by the ICIJ. “Doreco Limited’s” direct and indirect ownership records in Bulgaria show that it has been present in almost all key companies that formed the business empire around Peevski, with total assets of over BGN 1.5 billion. Bivol uncovered the connectivity of this business conglomerate from a deleted internet presentation from 2016 by the Dubai-based company TGI Middle East. ‘”Doreco Commerce”, then owned by “Doreco Limited”, is listed alongside companies such as “Bulgartabac”, “Yuri Gagarin”, “Lacrima”, “BG Business Solutions”, “Tabac Market” and the distributor “ELD” as the main pillar in the group that is supplier of materials for the printing industry. “Doreco’s” business record is also marked by scandals. In 2015, financial journalist Miroslav Ivanov analyzed the role of the offshore company in redistributing resources from “Bulgartabac” and “Yuri Gagarin” to “Print Trade” – Peevski’s newspapers’ printing house – and to the advertising agency “Soda Communications”, as well as the appointment of the former Head of the National Investigation Services, Boyko Naydenov, as Manager of “Doreco Securities”. “Soda Communications”, the advertising agency of “Bulgartabac”, is still directly owned by “Doreco Limited”. The Boyana Diplomatic Club scandal exploded at the end of 2016, when the club was bought by a group of very young people without any business record, but with a loan from “Doreco Commerce”, which in turn had been granted by FIB, according to Capital. It became clear that “Doreco” had also given a loan to Peevski’s “HCH Investments”, a company through which he held the newspapers Monitor and Telegraph and the “Technomarket” appliance and computer store chain before transferring them to his sole-owned company “Intrust”. There is also solid evidence of a direct deal between Peevski and “Doreco Commerce” for his 18% stake in “Yuri Gagarin”. Angelov abruptly declined to talk to Bivol when asked to comment on his hidden property in “Viafot”. It emerged, however that he had shared important information about this case with TV host and journalist Sasho Dikov, which, according to Dikov’ own words, cannot and should not be disclosed, and this, in itself, is also a significant fact. New owner or sweeping the problem under the rug? Since the beginning of 2017, “Doreco Limited” is no longer directly owned by Angelov, but by “Media-Plex Limited” registered in United Arab Emirates (UAE). It is owned by another UAE company – “TI Holding FZE”. The company is heir of “TGI Middle East” and at the end of 2018 it became the second shareholder in “Bulgartabac Holding AD” with 26.2% of the shares. Meanwhile, the Bulgarian company “Doreco Commerce” has changed its name to “DRC Invest“. Its ultimate owner, after the transfer of the shares of “Doreco Limited” is precisely “Media-Plex Limited”. Therefore, it is clear that “TGI Middle EAST FZE”, which took hold of the “Dubai” assets of Peevski’s business empire, now also owns the “Doreco” companies. The ownership of the offshore “Lanezal Limited”, also registered in the British Virgin Islands, has changed simultaneously with the change of ownership of “Doreco Limited”, according to the internal correspondence of the Panamanian Mossack Fonseca law firm, which is in the core of the “Panama Papers” outrage. “Lanezal Limited” has also owned shares in the company “Express Logistics and Distribution” before its absorption by “Bulgartabac”. Subsequently, the distribution company was sold to British American Tobacco (BAT) as part of the EUR 100 million deal. With this deal BAT acquired the brands and the distribution of “Bulgartabac”, while at the same time it laundered part of the dubious income of Bulgartabac from selling cigarettes to smuggling networks in the Middle East. Both, “Doreco” and “Lanezal”, are incorporated through the Cyprus’ Consulco law firm, which has an office in Bulgaria. The same proxy has registered another key offshore from Peevski’s empire – “Sibole Services Incorporated“. This company privatized “Technoexportstroy AD” and was among the big borrowers in CCB but after the collapse of the latter, it managed to repay its loans with money stolen from an account of Danish and English investors. The complaint filed in New York, in the United States, against Peevski and the owners of FIB, Tseko Minev and Ivaylo Mutafchiev, also includes “Sibole” as a defendant. The “Panama Papers” scandal shed light on the actual owners of thousands of companies and triggered global turmoil. At that time in Bulgaria, the group around Peevski was not affected by the revelations. The explanation can be found in the affiliation to the former State Security of journalists of the newspaper 24 Hours, who in 2016 had access to the “Panama Papers” and had a commitment to publish them. Since Bivol now also has access to these documents as an ICIJ partner, it is and will publish them without any filters and censorship. The loans distributed by “Doreco” and the concluded deals with its assets in the period when Alexander Angelov was its owner amount to BGN hundreds of millions. Angelov must have some explanation for the origin of these funds. He also has to explain the origin of the EUR 19 million, with which “Viafot” bought Miroglio’s receivable from “Dunarit”, and then became a contender for the ownership of the arms factory. How have these huge sums been acquired? Is their origin clean and have taxes been paid on them? The problem, however, is that the answer to these questions should be provided by the same State institutions that stood behind “Viafot” and attacked Gebrev. As it emerged in recent days, this attack had been assisted by foreign agents – an assistance that threatens European and Atlantic security. Therefore, the main question arises – which interests do the official Bulgarian institutions serve?